Life Explained EXPLORES HISTORY: The Battle of the Little Big Horn. Ok, so we are, admittedly, a little pessimistic about our discoveries here at History Explored. But, there seems to be little to offer much cheer. We will keep looking, though. Recently, we took a trip to the Black Hills, a wonderful place, and it seemed like a good time to delve into the more recent past. Specifically, Custer's last stand. What was not so apparent, Little Big Horn is in Montana, not South Dakota, and was about 3 hours from where we were staying. But, it was still closer than Ancient Egypt, Mesopotamia, Assyria, the Roman Empire, or Mongolia and we already had the book, ("The Last Stand," by Nathaniel Philbrick*) so we ran with it. Unfortunately, vacation does not offer a lot of time for reading, so we did not get far into the book, but far enough to understand this unfortunate incident follows a fairly predictable pattern. According to the author, the Black Hills are "an oval shaped territory in about the size of Connecticut in the south west corner of modern South Dakota. 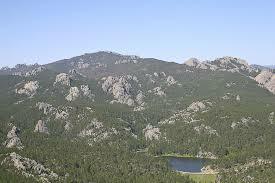 Part Garden of Eden, part El Dorado, the Black Hills were a verdant and mountainous land of streams and lakes contained within a forbidding four thousand foot high ridge of ancient rock covered in ponderosa pine. When seen from a distance these steep, three shaded battlements appeared as dark as night, hence the hills name. Mysterious and remote (they were separated from the nearest American settlement by a hundred miles of desolate badlands), the Black Hills were sacred to the Sioux and - until Custer's expedition - almost unknown to the whites, save for rumors of gold." It is a beautiful place, dark, forbidding and wonderful. But, such things mattered little to the participants. Who, despite the fact that they were faced with battles, and blood, could not turn away from the path. Why is it always that way? Looking back, through the annals of history, why is it nobody can ever learn that there are options? How many of these things could have been avoided? How many lives were lost almost accidentally? Not "oh my gosh, did you push that button?" accidentally, but through careful avoidance of reality, accidentally. World War I is a perfect example. Plans were drawn, and troop movements scheduled, and once they began they could not be averted, and they delivered us into the quagmire of trench warfare, artillery bombardments, and clouds of mustard gas. Even the belligerent Genghis Khan tried to offer the Khwarazm Shah a face saving way to avoid invasion. Pride, and stubbornness would not allow him to sacrifice a local governor to the Mongols to face retribution for killing an envoy sent by the Khan to establish trade. And, the Shah's empire was destroyed, millions perished, and he died in exile. And, the confrontation that is being described in the book, seems to follow these lines, something that could have been avoided, but for some reason wasn't. No real surprise. *So far it is an excellent book, and we recommend it heartily.